EMD Scaffolding & Formwork was established in the year of 2004. 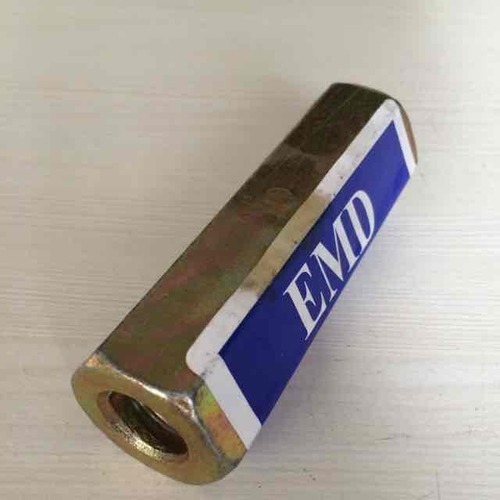 We are leading Service Provider and Supplier of Formwork Accessories, Scaffolding Couplers & Fittings, Access Towers Spares etc.EMD Group is a professionally managed company engaged in manufacturing and exporting a wide array of quality scaffolding equipments like modular scaffolding, Scaffolding steel tubes and fittings for building and construction industries. The simple entrepreneurial skills and integrated corporate philosophy have mobilized EMD Group to become a leading scaffolding company. We are very proud of our facilities and have a large industrial base to undertake light duty to heavy duty fabrication to manufacture fast and accurate SCAFFOLDING products. Every piece that we manufacture bears a smooth finish both inside and outside, concentricity, diameter and thickness. Each component of Scaffolding System is thoroughly tested and examined at every stage of production. Quality control begins right from sourcing of raw material stage itself. The products manufactured adhere to the international standards. With a strong focus to increase competitiveness in the overseas and indian market, we have established a strong infrastructural base. Our world class infrastructure is equipped with the latest manufacturing, testing and inspection facilities. Besides, we have a strong technical & managerial team, which strictly adhere to stringent quality control parameters, ensuring zero defect products. At present a manufacturing vast range of scaffolding accessories which is being supplied in many states. Our company is equipped with modern machinery, technology, testing lab, well trained workers and staff. We have passed the certificates of ISO 9001-2000 in 2006 for our advanced equipments strong R&D power and strict quality control syostem. Besides supplying quality products, we welcome customers samples & designs for completion. We have the capability to meet the challenges of the modern day construction by designing and developing products as per client's specifications. We assure high standards of quality, pricing, delivery and qualitative customer service to both domestic and international customers. With initiative to diversify the customer base by venturing into the international markets, moving up the value and fully integrating its business process to maximize customer satisfaction & growth & achievement.